Whomp whomp. 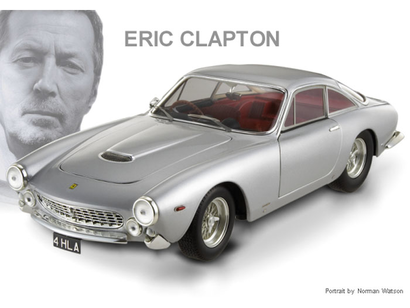 There're no 250 GT Berlinetta Lusso Eric Claptons for sale. The 250 GT Berlinetta Lusso, which made its debut at the 1962 Paris Salon, was the final model in the 250 GT series in pure road-car form and continued in production until the latter part of 1964. It was the direct replacement for the previous Berlinetta. The body styling from Pininfarina won immediate praise and featured a front-end design with a wide and low egg crate grille similar to the 250 GT ‘SWB’ Berlinetta.